Terrorist armed groups fighting the Syrian army and its allies near Aleppo said on Monday they had received new supplies of US-made anti-tank missiles from states opposed to President Bashar al-Assad since the start of a major government offensive last week, Reuters news agency reported. The delivery of the US-made TOW missiles to the takfiri groups in Aleppo and elsewhere in Syria appears to be an initial response to the new Russian military campaign by foreign states supporting the outlawed gunmen, including Saudi Arabia, Turkey and Qatar. But officials from one of the Aleppo-based rebel groups said the supplies were inadequate for the scale of the assault, one of several ground offensives underway with Russian air support. 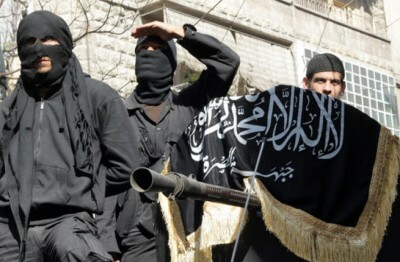 A number of takfiri groups – like the Free Syrian Army, the al-Nusra Front and ISIL (the so-called ‘Islamic State of Iraq and the Levant’ – vetted by states opposed to President Assad have been supplied with weapons via Turkey, part of a program supported by the United States and which has in some cases included military training by the Central Intelligence Agency. TOW missiles are the most potent weapon in the takfiri arsenal. FSA-affiliated groups have also been using TOWs against government forces to fend off another offensive in Hama province, southwest of Aleppo. Since the start of the Russian air strikes, ground offensives by the Syrian army and its allies have hit areas controlled by takfiri groups other than ISIL in parts of western Syria that are crucial to Assad’s survival.